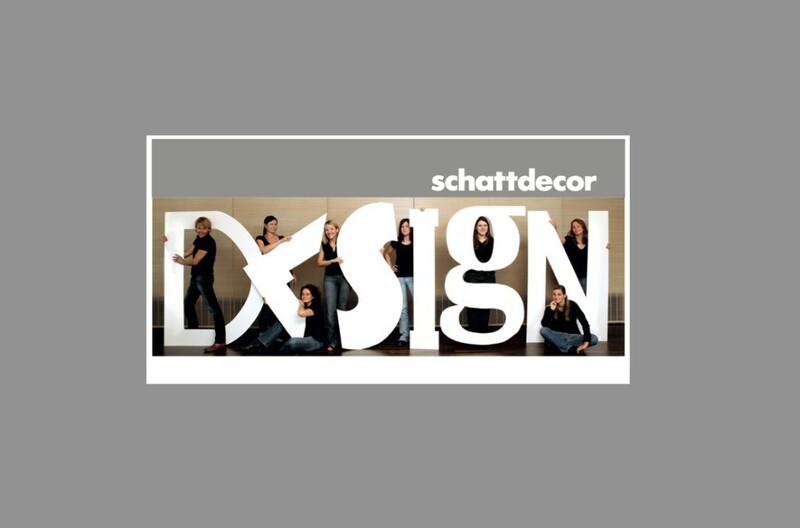 Schattdecor is the leading manufacturer of printed decorative papers, with production centres in Germany, Italy, Poland, Russia, China, Brazil, Turkey and USA. We employ over 1500 employees and our sales volume is approx. 600 m. Euros annually. Our success is based on a unique corporate culture at home and abroad. 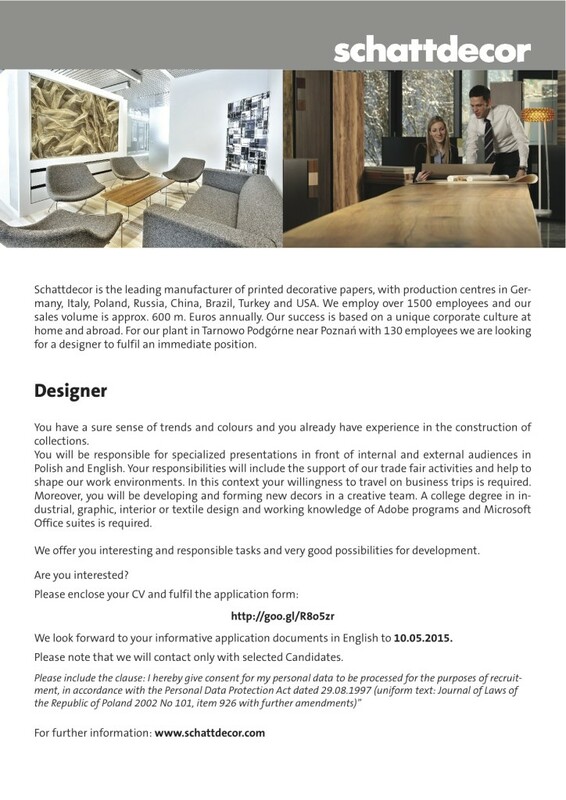 For our plant in Tarnowo Podgórne near Poznań with 130 employees we are looking for a designer to fulfil an immediate position.